Whenever J.Crew drops a new collaboration, we may as well be first in line (digitally speaking, of course). 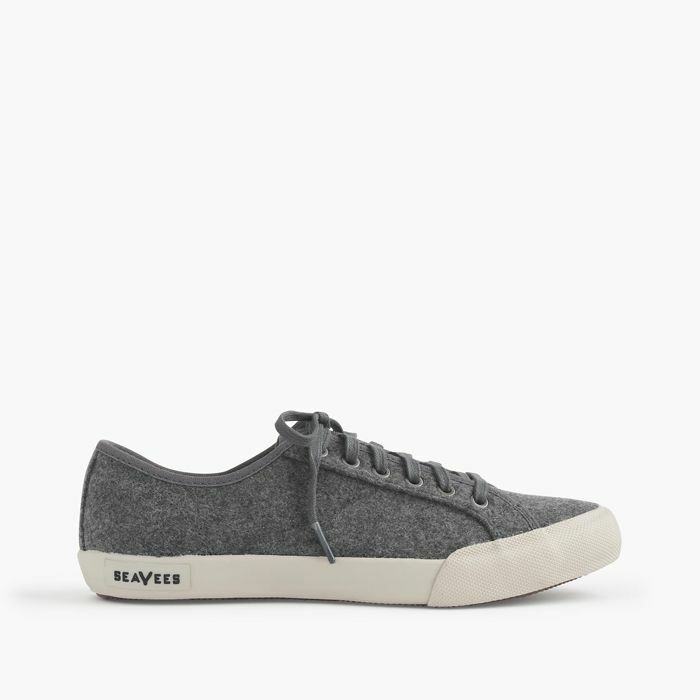 And today is no different: The beloved brand just released its capsule collection with sneaker line SeaVees, and we're in love. As fashion girls whose love for a good pair of sneakers is well documented, we're happy to report that this is just one more style we'd love to add to our collection. In chic fabrications like wool, leather, and suede, these sneakers are perfect for fall—and each pair is less than $100! Keep scrolling to see J.Crew's new collaboration with SeaVees, and to shop the shoes now! What do you think of J.Crew's new sneaker line? Tell us below!